I have been painting for about six years. 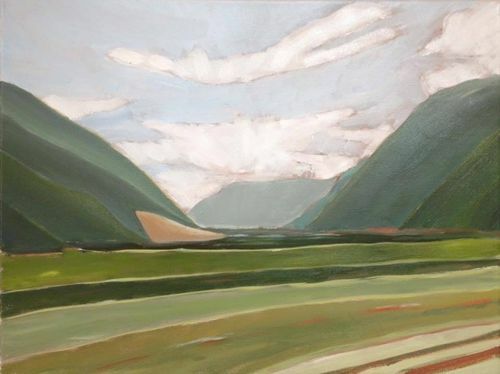 I grew up in the Okanagan Valley and I am drawn over and over to the beauty of its desert landscapes, both here in BC and in Washington State. 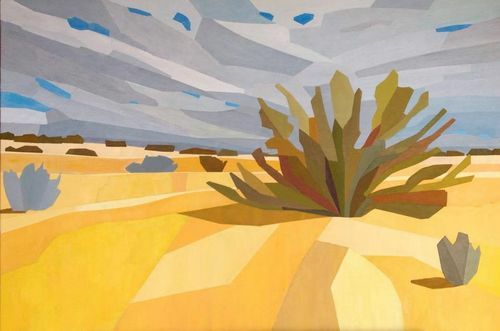 This is an acrylic painting of a meadow with the typical antelope brush plant, on the Nk'mip land near Oliver BC. My parents lived in a spectacular setting on the shore of Lake Okanagan, south of Kelowna, and I was lucky to be able to capture several views of the lake from this vantage point in recent years. This acrylic looks south west across the lake. The light is at dawn, in July. I have also in recent years enjoyed taking landscape photos and cloudscapes, mostly with an iPhone as these are often fleeting moments. 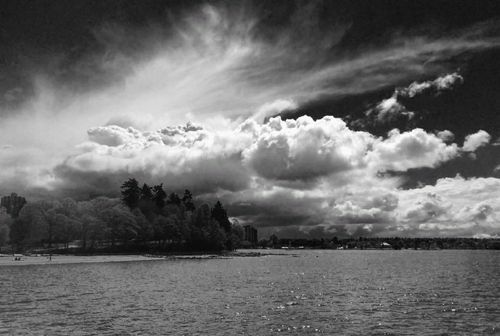 This black and white image is of Stanley Park and English Bay on a spring afternoon. After years of acrylic painting I have begun to work in oil, on smaller canvases. 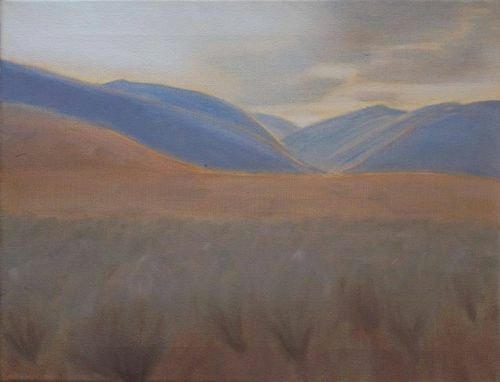 This view is of sagebrush and hills surrounding the Similkameen valley, south of Cawston BC. Following a lengthy period of experimentation with hard-edge painting where I would often use tape to achieve the effect, as in the previous image I have more recently worked with freehand brushstrokes. This view is south toward the Similkameen valley, near Olalla BC.